Discussion in 'Live Plants' started by antinous, Oct 17, 2018. How are everyone's plants doing? I recently bought a mixed box of unlabeled sweet to superhot peppers and I've already found a mild variety I'll be saving seeds from to plant next year, aji dulce orange. Great flavor and just a little pop of heat. I've had a few other very hot ones and most have been delicious so far. It's been fun to try tracking down pepper IDs as well as I go through them. Not looking them up beforehand, tasting first then IDing lol. Fantastic! I'd been curious about the fish peppers before, you'll have to let us know how they are! One of my gypsy plants has started to grow up more than out, so I'm trying to get that controlled so I get more robust foliage. 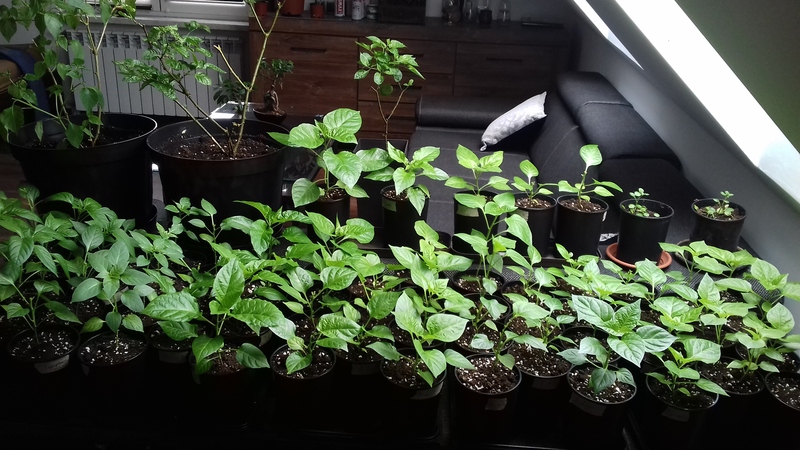 I'll be doing a bunch of transplanting over the next couple days though since about half of the ones I started as seeds are ready for their buckets.